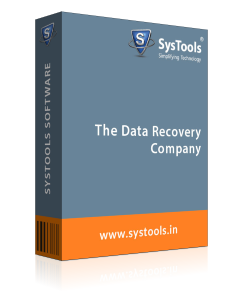 This software helps users in moving from Lotus Notes to Microsoft Outlook 2016, 2013, 2010, etc. It is one of the best utility to export NSF to PST file format, including emails, calendars, tasks, notes, appointments, journals, names.nsf etc. 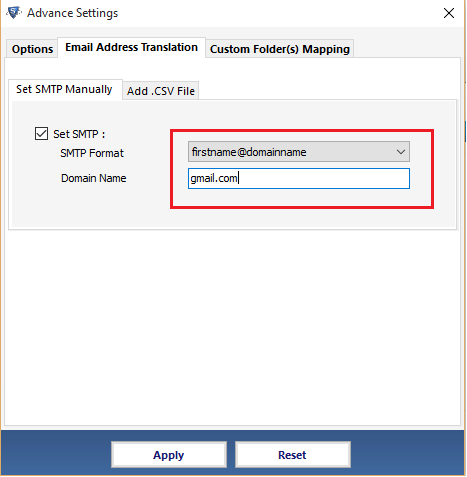 Import emails from Lotus Notes to Outlook software renders option to translate Canonical Name to SMTP format. The Canonical name is a specialized text format in IBM Lotus Notes. It stores information like username, server name or any group name of sending or receiving emails. This characteristic permits to map Notes Canonical Name with SMTP format in the desired domain name. 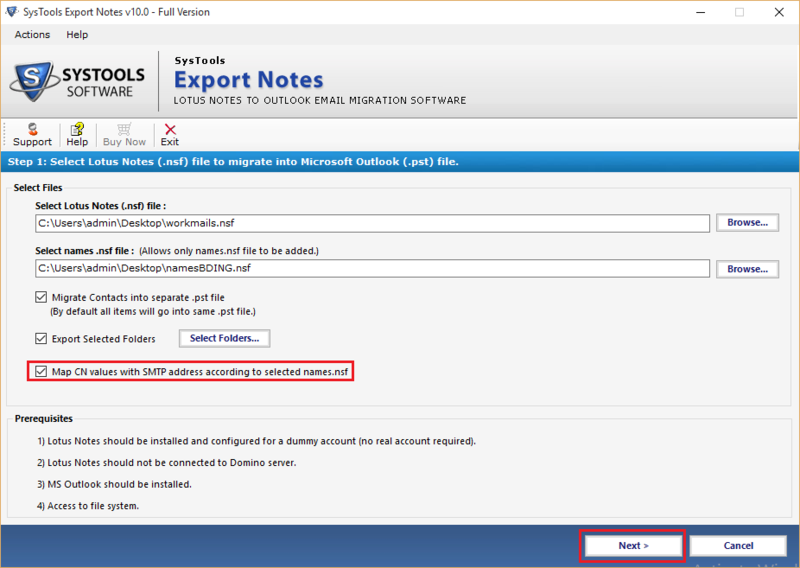 NSF to PST Converter tool requires MS Outlook installation in the system for migrating from Lotus Notes to Outlook account. One can install any available Outlook versions like MS Outlook 2016, 2013, 2010, 2007, 2003 and any below editions. 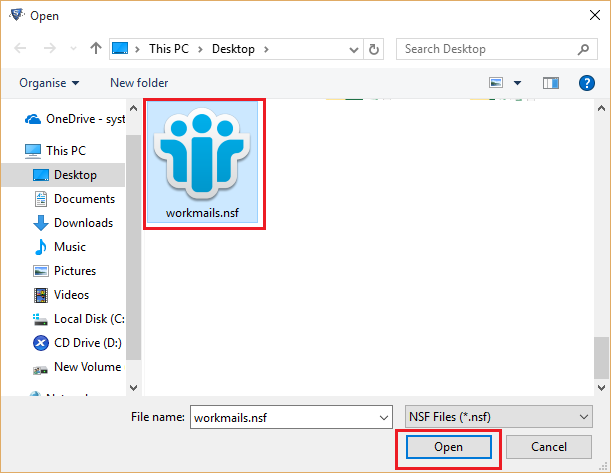 Users can save their NSF emails and contacts data in one PST file. The contacts from Lotus Notes data file are saved as names.nsf file. So, wherever user needs to migrate multiple contacts to single PST file with all fields and groups preserved then, this tool makes this operation easy. NSF File to PST converter software can export complete data of Lotus Notes archive to Outlook PST file format. 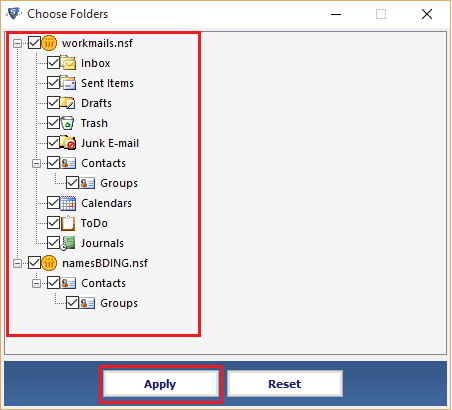 All the NSF file mailboxes such as emails, contacts, calendars, Tasks, Notes, and journals can migrate easily into Microsoft Outlook. The resultant file will be supported in any version of Outlook without any importing error. 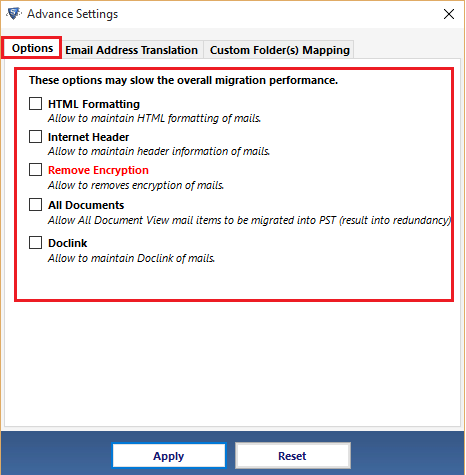 It allows choosing selective NSF email files, which have been encrypted for the security concerns and remove encryption from emails after migrating Lotus Notes NSF file to Outlook PST. NSF to PST Converter permits users to migrate selective folders / components from the chosen Notes database, instead of exporting them all. Users can map the folders of Lotus Notes archive to Outlook PST. The software allows mapping of NSF file inbox with inbox in Outlook and then, data will be saved into the respective folders. It maintains the folder’s hierarchy and internal directory structure of created PST mailbox, which is same as source NSF file. Users can filter emails by selecting a specific range of date using this NSF to PST Converter. However, emails that precede and succeed the selected date range will be excluded. Date based filtering is applicable on the To Do List items from the selected Notes database. Date filter will include the items falling between the selected dates. This application to convert NSF file to PST format can split output PST file that is created post Notes data export. Auto-splitting option for specified size in MB/GB. Auto-splitting option can be applied on specified file size in MB/GB. When the PST output file reaches the mentioned file size, the tool will automatically split it. 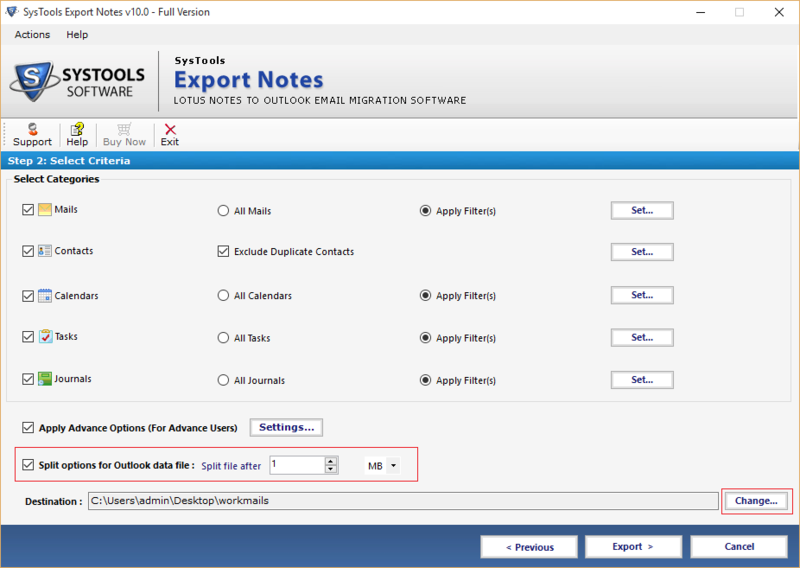 Export Notes software is an intelligent utility to detect and convert canonical name format set for any senders' email. 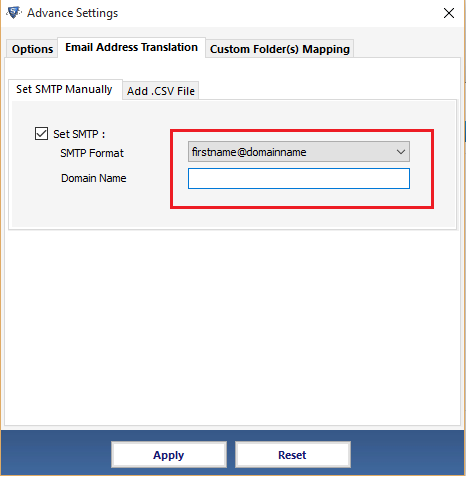 Users can either set one SMTP name format for all canonical values or define an individual one for each in a CSV file. It supports all latest versions of Outlook and creates a Unicode resultant PST. This software saves the HTML formatting such as hyperlink, signatures, etc; of your emails intact with inline images. This tool will not make any changes to the HTML formatting of emails or documents during or after performing NSF to PST conversion. Alternatively, it will save HTML formats as they were. When the user needs to exclude duplicate contacts from being converted into the output data file then, this is also can be done via this application. It has multiple filter options to customize duplicate contact(s) exclusion out of which full name, address, & mobile number are applied by default. When the user wishes to create a link between two Notes documents, a user can generate docLinks. Export Notes to Outlook software supports the retaining of the docLinks during its conversion from the selected database to the resultant PST file. A hyperlink added to the Notes documents is DocLink. An intelligent feature of this NSF to PST Conversion application is that it automatically selects Desktop as the default location for storing the resultant PST after conversion. For storing resultant PST of the Lotus Notes to Outlook software, users can change the path/ location as per their requirement and convenience. How to Transfer Emails from Lotus Notes to Outlook account? Q. 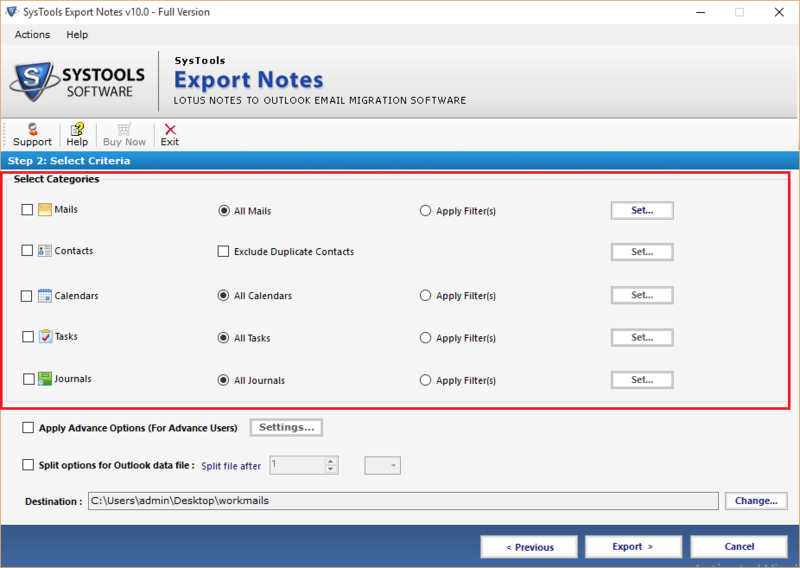 What are the system requirements of Export Notes software? Ans: Yes, this Lotus Notes to Outlook migration utility will support on Windows 10 and all below versions of it. This tool can auto customize the CN values, so you can use it without any problem. Q. Although the demo version works for almost, then why complete version? Can only convert a NSF file to PST file at one time. Can only save only 25 items exported PST files. Q. Can this NSF to PST conversion software can export encrypted NSF files? “I want to convert Lotus Domino to Outlook PST format. I have tried many manual solutions available on Google. But any of it worked correctly. So I want to know whether this utility can convert encrypted NSF file to PST or not?" Ans: Yes, This IBM Notes to Outlook migrator can convert names.nsf to PST format, even the NSF files are encrypted. Q. How much time will it take to send an activation key once the software is purchased? Ans: Once the software is purchased, the activation keys will active within 15 minutes of the purchase. Yes it is possible to export recurrence calendars via this application. Q. Does Domino Server environment is necessary to perform the NSF migration? Ans: No, active Domino Server environment is not required for NSF file to PST migration. Instead, you have to disconnect Domino from Lotus notes before performing the conversion. But Lotus Notes and MS Outlook installation is necessary and it should be configured properly with valid POP3 / dummy profile. Q. Does this application directly convert Notes contacts into a single PST file? Ans: No, the contacts won't get automatically migrated from IBM Notes to Outlook PST as a single file. A single PST file will only be generated if you have selected names.nsf file and opted "Migrate Contacts into Single PST File" option. Note: NST to PST Converter Software will get delivered on your registered email id, within few minutes after placing the order. NSF to PST converter is the best application, that I have ever used. This software has a very simple interface and I have exported more than 500 encrypted NSF files to PST file format with no technical assistance. 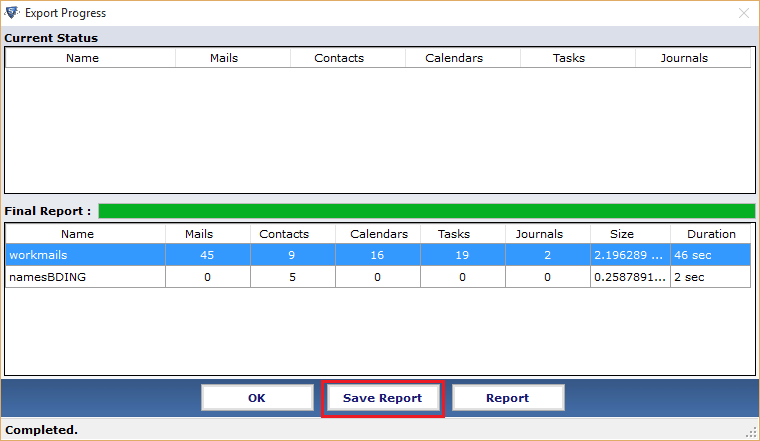 Apart from of all these, it has a very useful feature that it also allows for selective migration of emails. Import NSF files to PST file format is a task that cannot be taken as an easy task to perform. However, with this Lotus Notes to MS Outlook conversion utility, it becomes one of the easiest works to do. I want to say thank you so much to the entire team of its developers sincerely. Their intelligent work is seeing very clearly in the way they have designed this product. Last week, I was looking for a method to convert NSF to PST format and then I got this software, Lotus Notes to Outlook Converter. Within some few clicks, I have executed the entire task. Believe me, this is really a superb program for importing or migrating NSF files to Outlook PST file format.